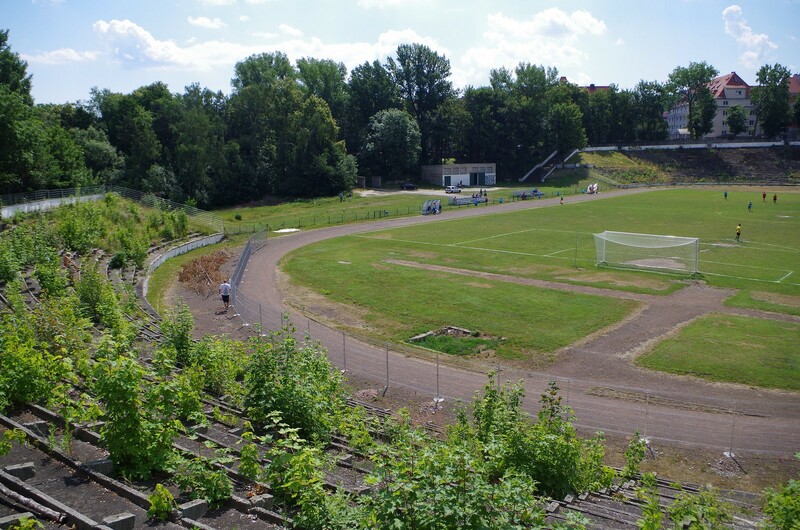 There was no tradition of building such impressive leisure complexes in 1920s. But back then Wałbrzych was hardly Polish, it was Waldenburg in Germany. 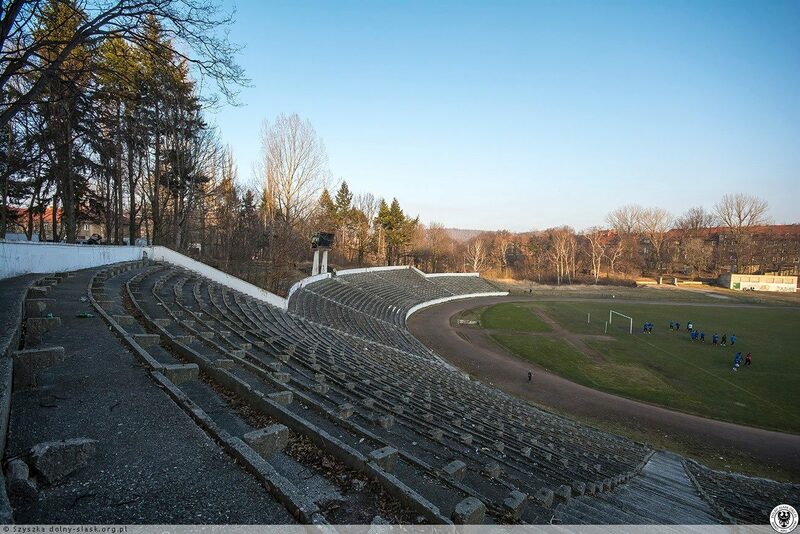 And Germans have created some stunning sports and recreation centers in early 20th century. 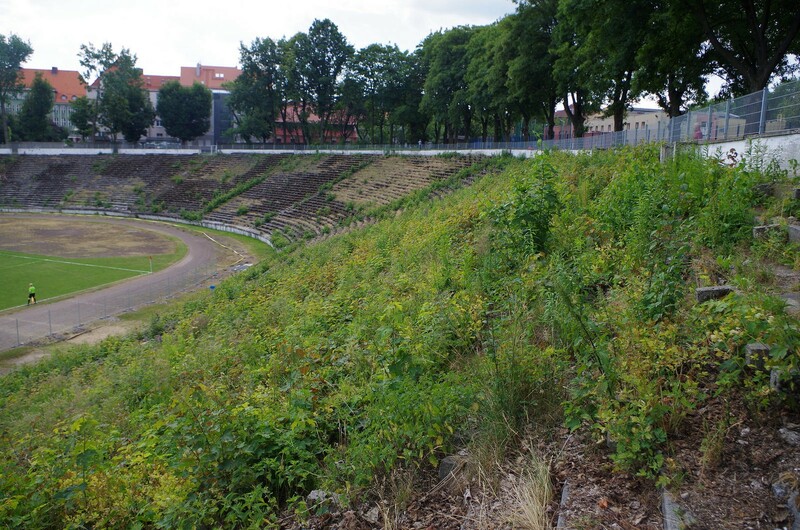 This one in Neustadt (Nowe Miasto) part of Waldenburg, based on the eastern slope of local hill and east bank of a large park, was among them. 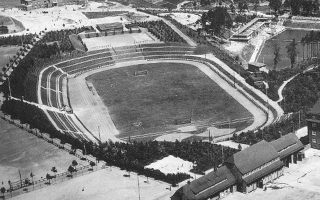 Westernmost and highest part was occupied by two training fields for football, while at the base of the hill the main stadium was built. East of it: swimming pools. 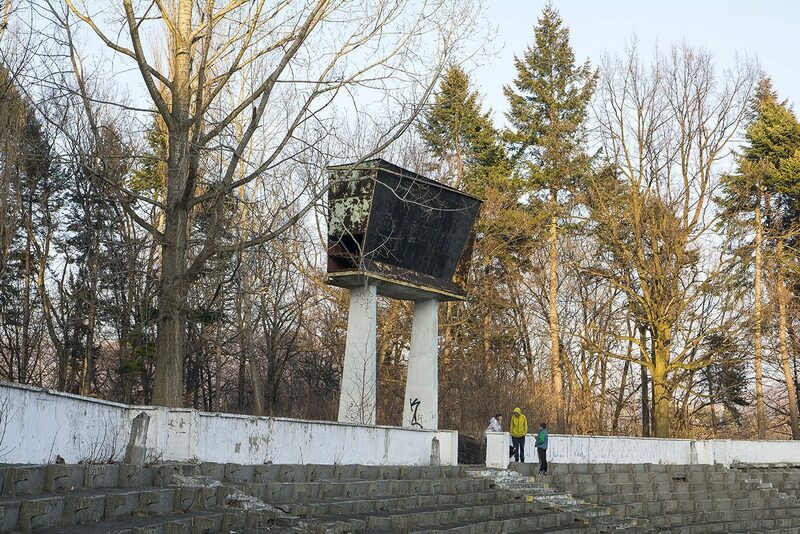 In the north, a smaller basketball field. All interconnected with vertical and horizontal pathways. 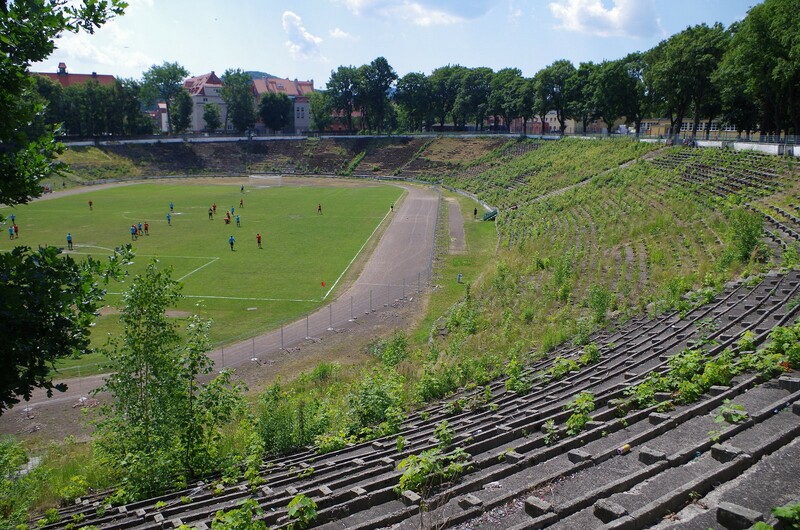 The stadium itself had bulk of its capacity spread through C-shaped stands in the west/north/south parts and only a small portion in the east. Though seemingly elliptic, the stands were in fact closer to a rounded heptagon when built and had a limited capacity due to three horizontal paths dividing them throughout the C-shaped part. 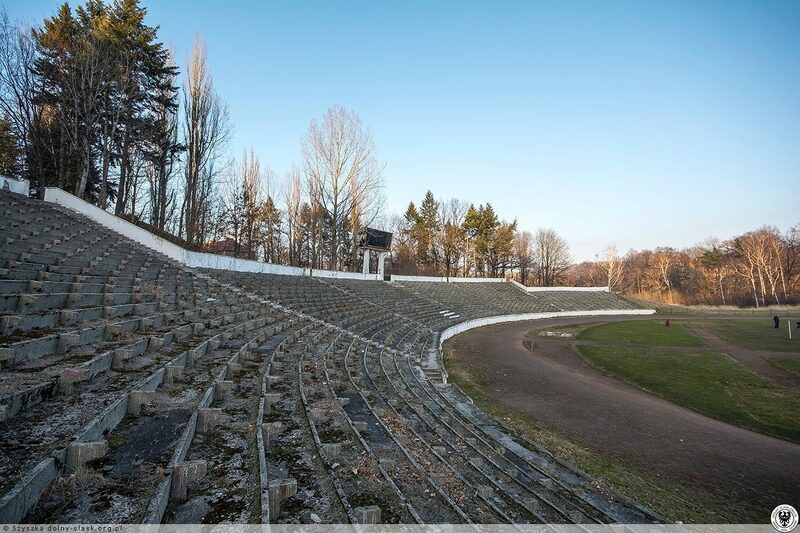 In this form the stadium lasted until WWII, seeing – among other memorable events – a political rally of Adolf Hitler in July 1932. After the war everything changed. 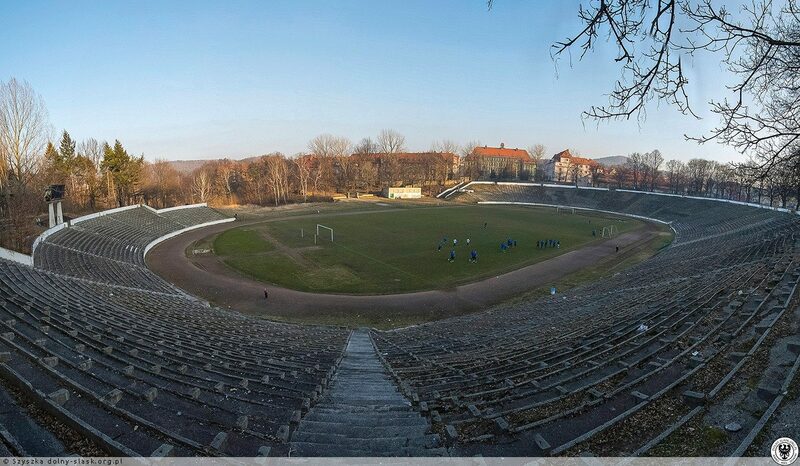 Most importantly, the city became Polish, renamed to Wałbrzych and the stadium became home to Górnik Wałbrzych from 1946 onwards. 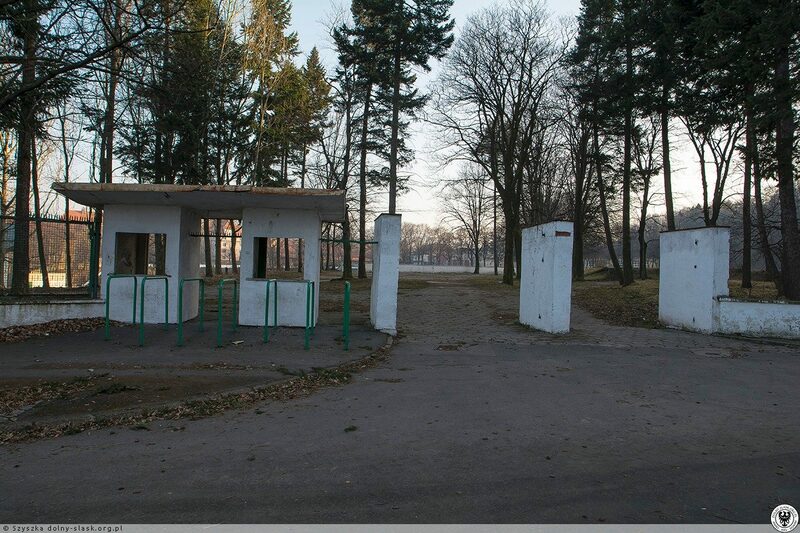 Under the Polish socialist regime it underwent major renovation and expansion. 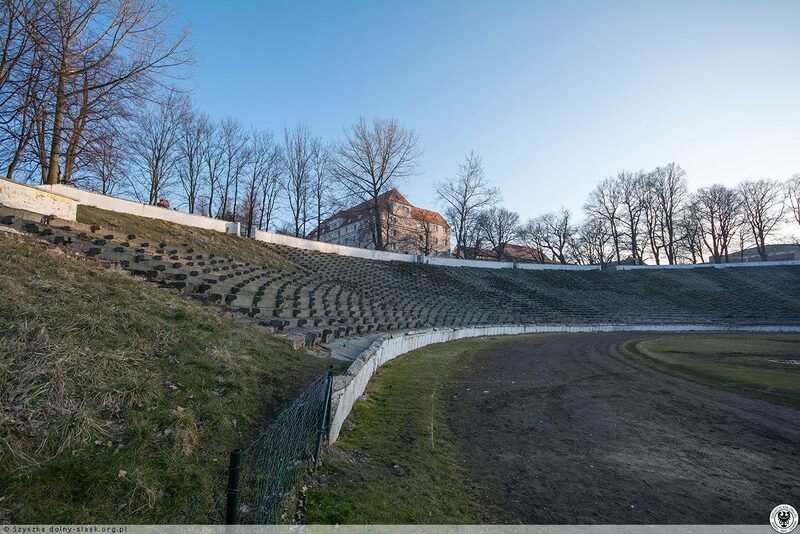 Old C-shaped stands were expanded upwards and equipped with more conventional rows of benches, gaining a rather amphitheatric layout. East side was leveled. 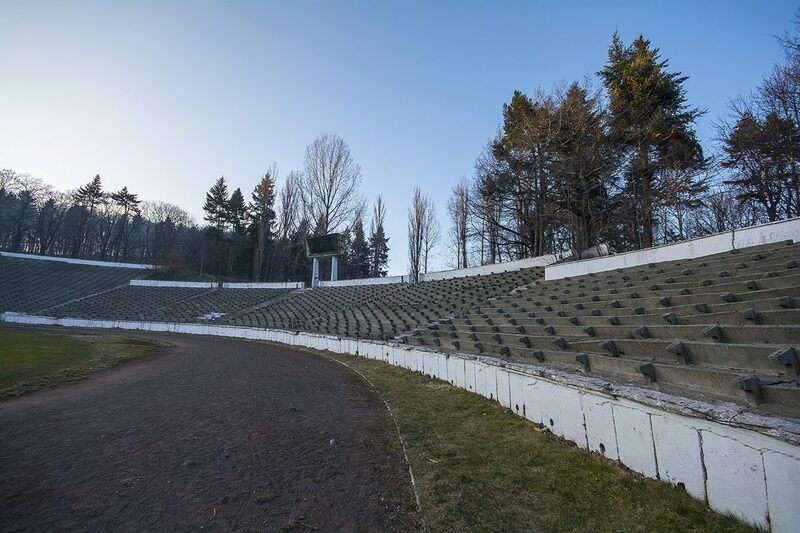 Capacity in this new formation varies depending on sources from 30,000 to 40,000 and the numbers are estimated based on actual crowds that could enter the building in 1970s and later. 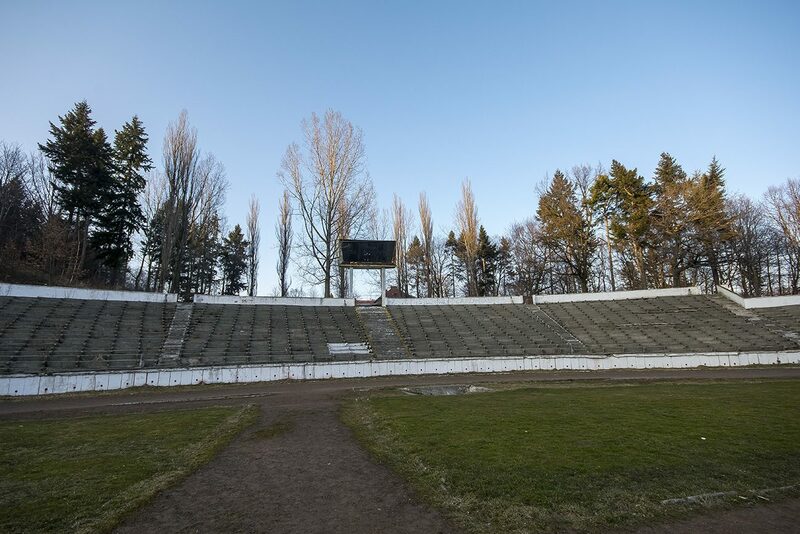 Unfortunately after Poland went through regime change, glory days of the stadium passed. 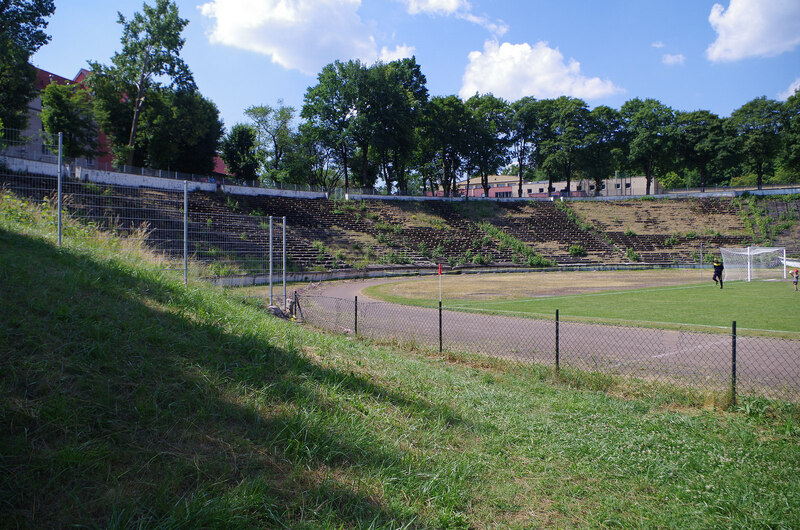 Górnik merged with another local club, Zagłębie, and moved to a smaller stadium in 1993. 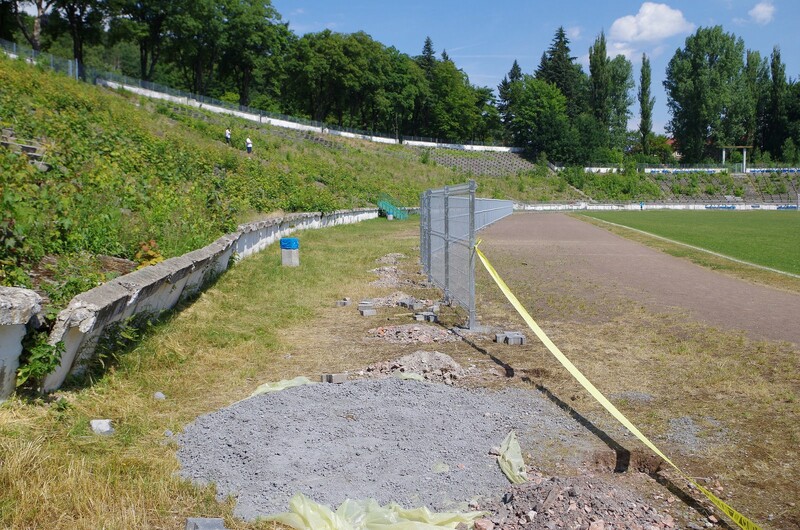 While the field is still used, stands have been in desperate need of renovation for years now. 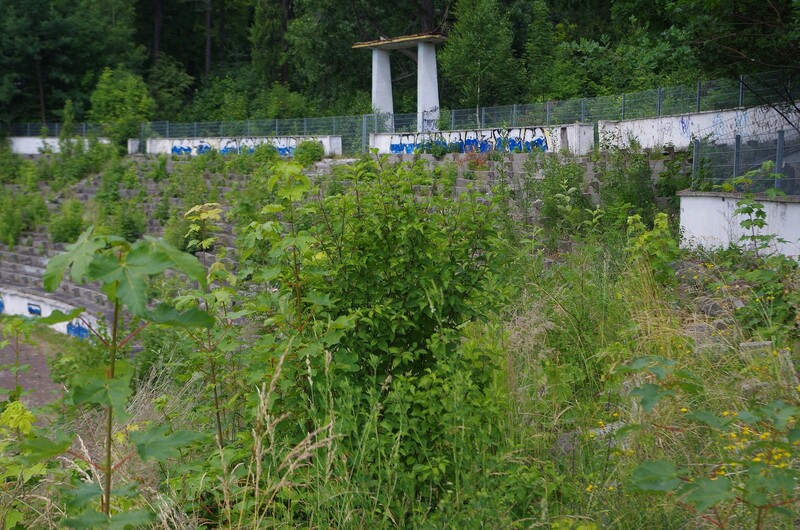 Since 2011 plans of such revamp began surfacing, but to date nothing happened. 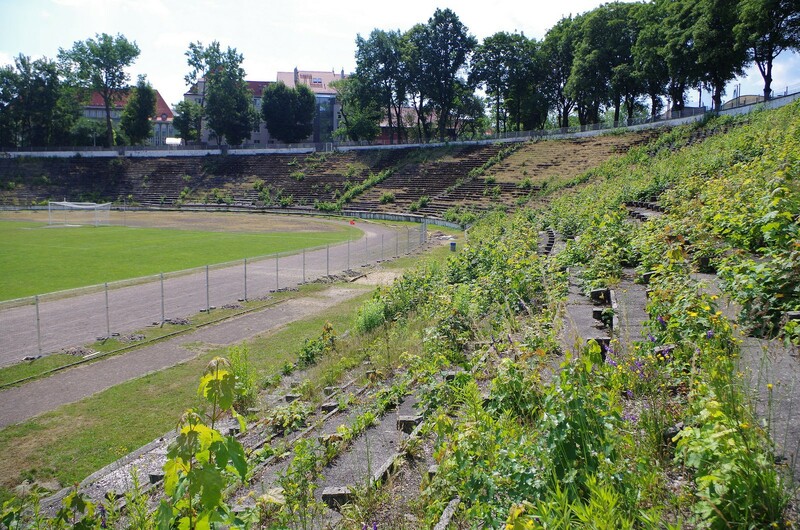 Most likely scenario is for most of the terracing to be razed for public green areas and a 1,500 – 3,000 athletics stadium would be created here. 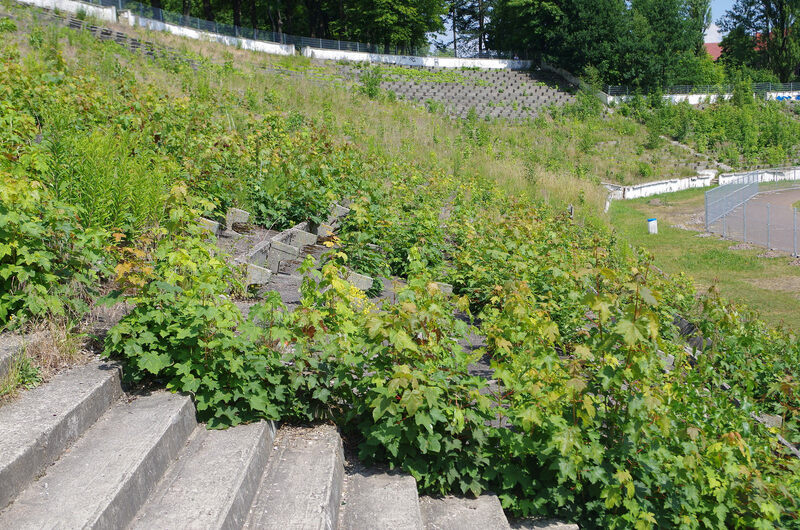 Sadly, most of the old German leisure complex hasn’t lasted until this day. 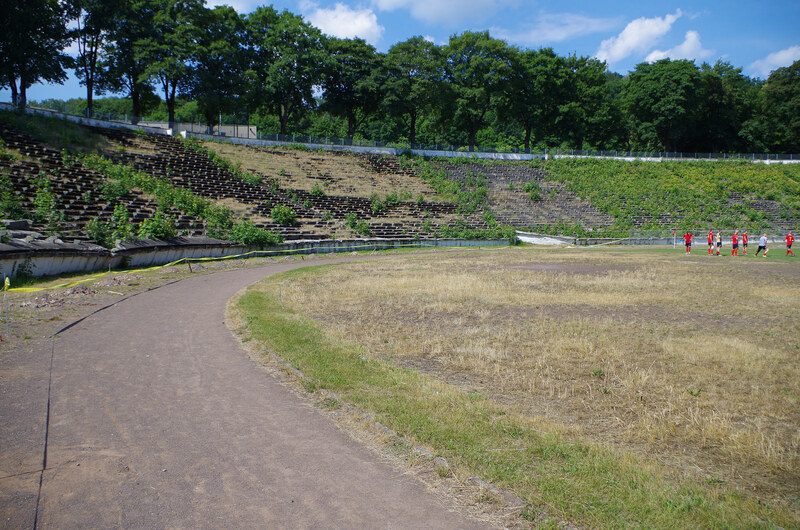 One of the training fields was replaced by an indoor hall, northern basketball field is now covered with vegetation, while the swimming pools were filled with rubble and levelled.